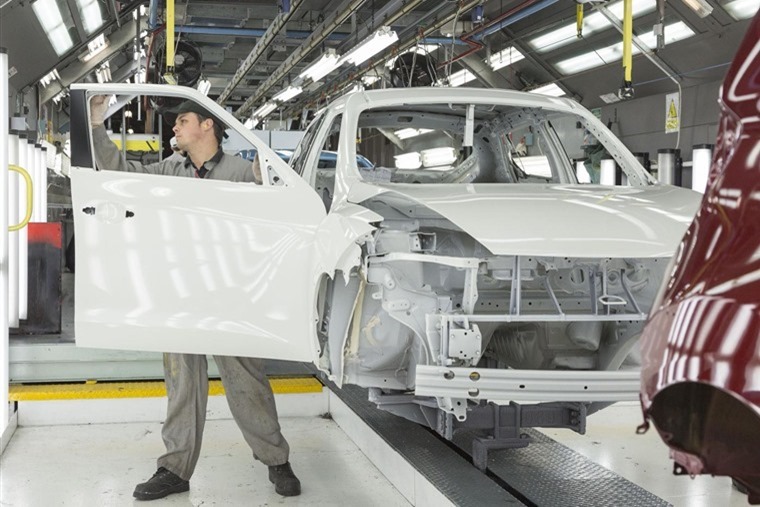 The UK new car market declined by a modest 3% in November, as stalling consumer confidence, continued supply delays due to WLTP emissions testing and model replacement all combined to affect overall sales. But the growing range of hybrid, plug-in hybrid and pure electric cars continued to attract new car choosers, with a record one in 12 people choosing one. Reflecting recent trends, demand for alternatively fuelled vehicles (AFVs) rose 24.6% as buyers continued to take advantage of the outgoing plug-in car grant and electric grant before they were cut and reduced respectively, according to figures released today by the Society of Motor Manufacturers and Traders (SMMT). 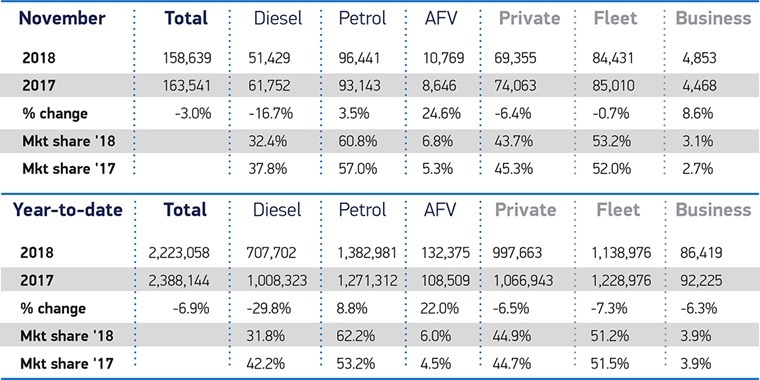 Petrol vehicles rose 3.5% but despite this both failed to offset a -16.7% fall for diesel cars. While fleet and private registrations fell in turn by -0.7% and -6.4%, business sales rose 8.6%, though the latter makes up only 3.1% of the market. 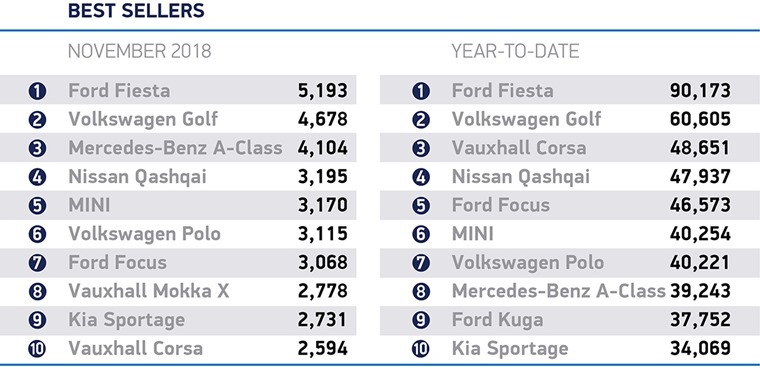 It’s no surprise to see that, with a new model released to much acclaim this year, the Ford Fiesta has run away with the best selling car title yet again by an astounding 30,000 units sold. In the year to date, more than 2.2 million buyers have taken advantage of an increasingly diverse range of models, including ever-more zero and low emission vehicles, but the market is down -6.9% on the first 11 months of 2017. This is in line with industry expectations given current challenging conditions.